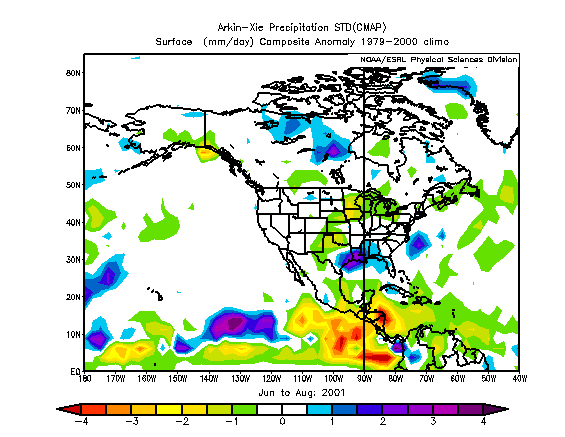 The pattern in the Eastern US has changed quite drastically over the past month in terms of precipitation anomalies. We’ve transitioned from a dry pattern to a very wet one, from Florida northeastward. Portions of the Mid-Atlantic States have seen below average rainfall for the month of May, but by and large, the Northeast as a whole is running a surplus for rainfall this month. The majority of stations; however, are still below normal in terms of the year to date rainfall, but I think that may change over the next few months. Temperatures, on the other hand, have not changed a whole lot. 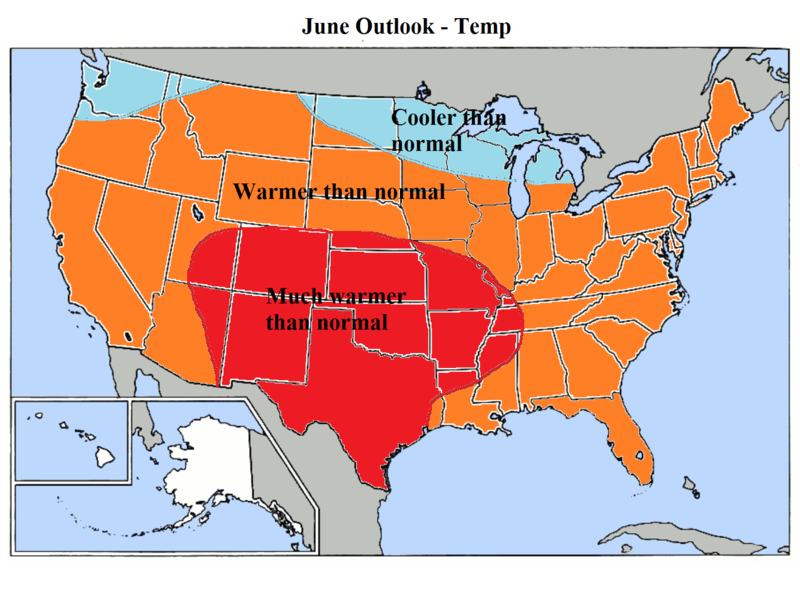 The US as a whole was well above normal for temperatures in the month of May. 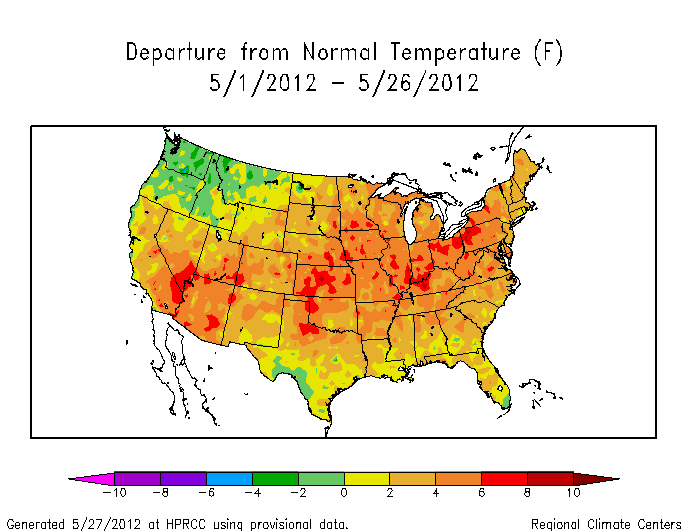 In the Northeastern US, temp departures were only slightly above normal, but the warm trend continues on. 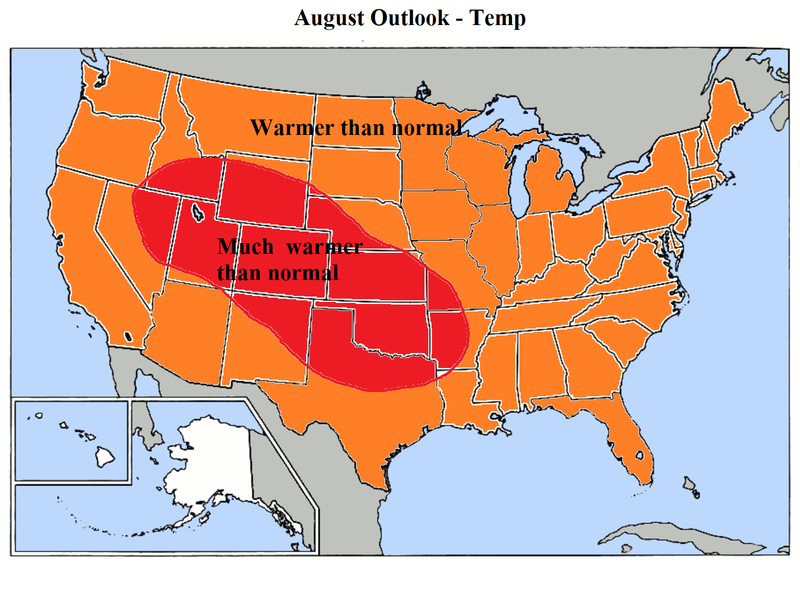 Many of us are wondering when we’ll see the next cooler than average month? My analogs for the spring (April/May) have worked fairly well with regards to placement of temp and precip anomalies, but the overall magnitude of the temp anomalies has been significantly less than the resultant. The bottom line is the past several months have featured an extraordinary amount of month across North America, and that has largely blown away anything the analogs had forcasted. 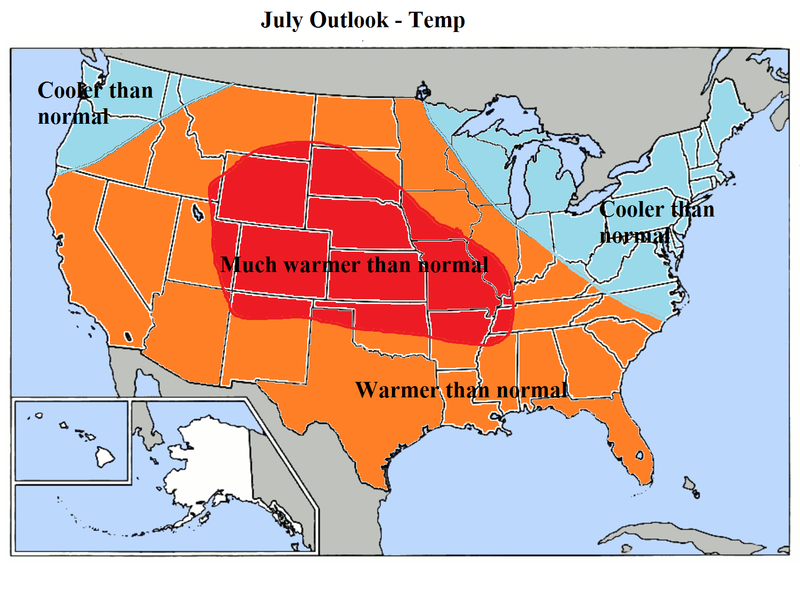 Thus, as we move into this summer, the same trend is likely to be present, that is, the analog projection of the summer (JJA) will be cooler than the actual. Similar ENSO years like 1976, 2009, 1986, etc, were quite a bit cooler over North America, even though the ENSO and teleconnection progression was very similar. 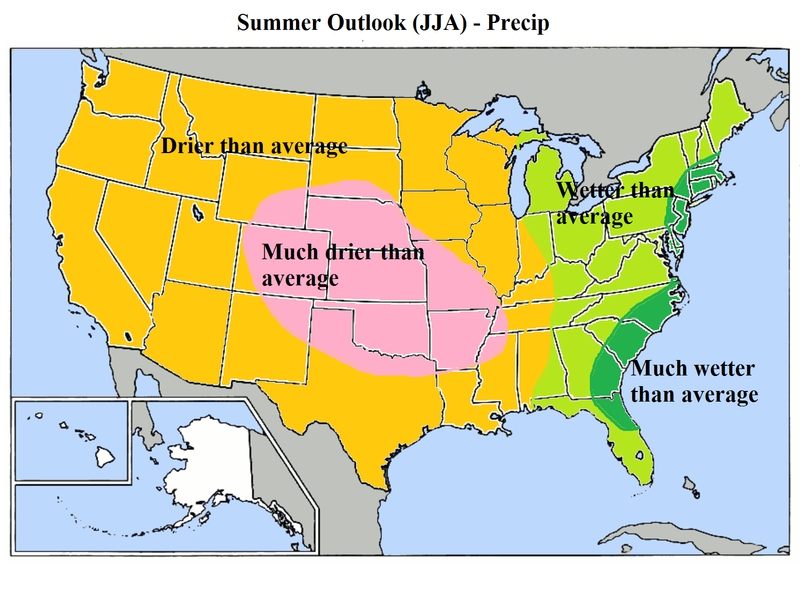 In turn, my summer outlook will be based upon a number of factors, including: ENSO trend, teleconnection patterns, analogs, drought/precip trends, and a fairly heavy weight given to pattern persistance. While 1951, 1976, 1986, 2001, and 2009 were among my top analogs for the past few months, I have eliminated a few of them going forward. They all featured a La Nina to neutral or weak el nino transition by summertime. 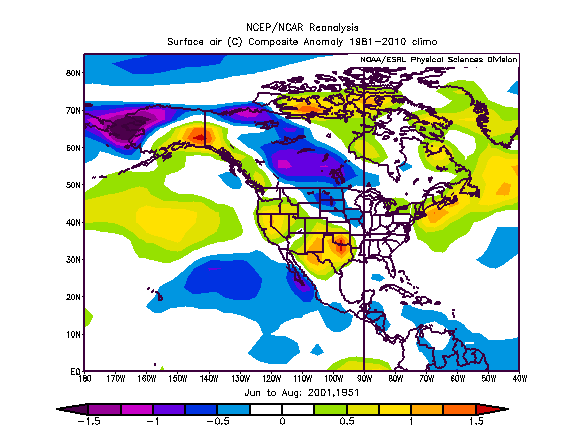 However, 1976, 1986, and 2009 had negative/cool AMO’s through much of the summer, which will not be the case in 2012, and a year like 1976 occurred in a much colder regime globally. 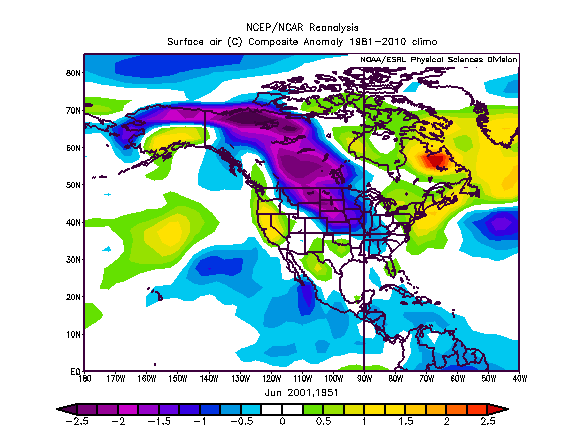 Furthermore, 2009 ENSO region 3.4 anomalies were already approaching weak el nino classification by June. Right now, ENSO 3.4 readings are hovering around 0, even slightly below. Therefore, if we are going into a weak el nino, it is probably going to arrive slower than 2009, which obviously has impacts on the weather pattern, one of them being a warmer picture. One can see, on the whole, it’s a very warm outlook for the United States, with the only “cool” zone being the Northeast US. 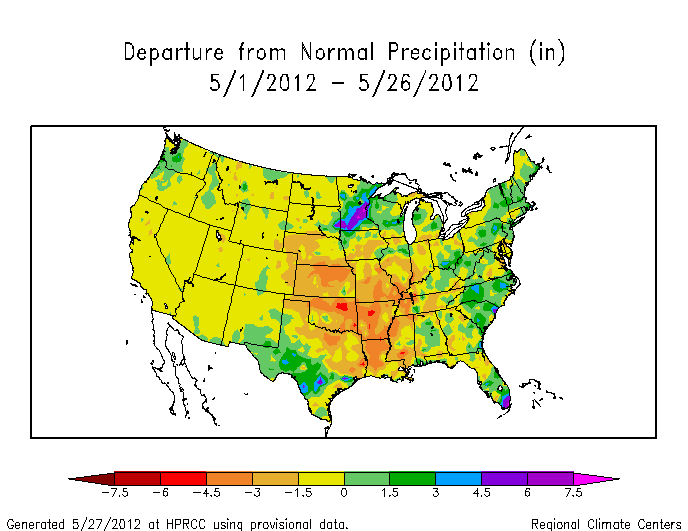 If one compares that to the May precip anomaly map I posted earlier, one can see quite a bit of similarity there. 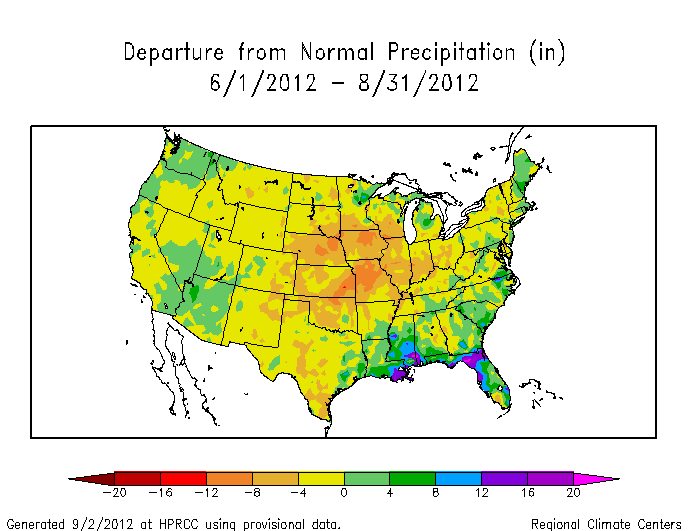 A drier than normal look for most of the Western, Central US, and wet for the Lakes/Eastern US. 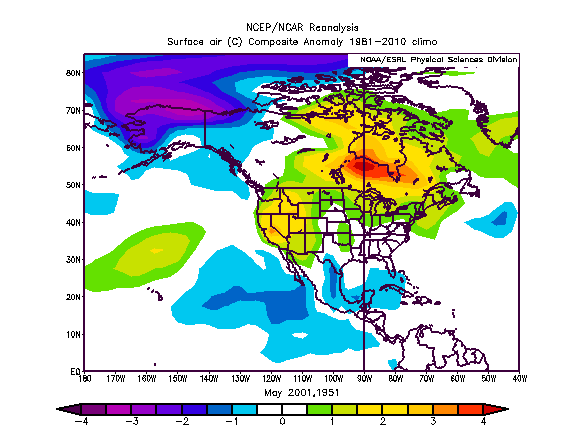 1951 featured a warm AMO, a Nina to Nino transition, and even has the parallel of a negative NAO for June. Current modelling is bullish on a negative NAO for at least the first part of June. 2001 is probably my second favorite analog at this point. 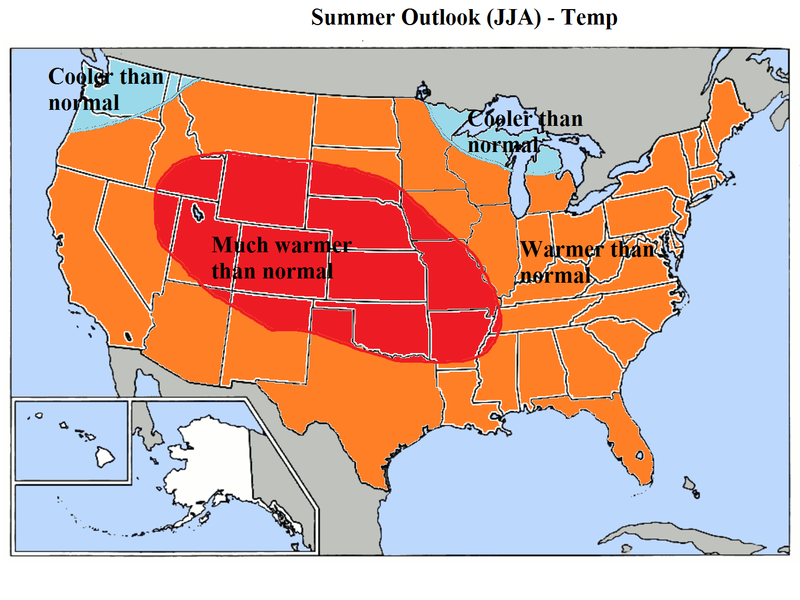 I believe we’ll see something similar for 2012, but warmer overall. Wet near the Gulf Coast, SE US, and East Coast — dry in the Central/West. I expect similar orientation, but drier than the map portrays for the Central Plains/West, and wetter than portrayed for the East. Given the analog signal, and ENSO progression, I believe that the best chance for a cooler than normal temp regime in the Northeast US will occur in July. 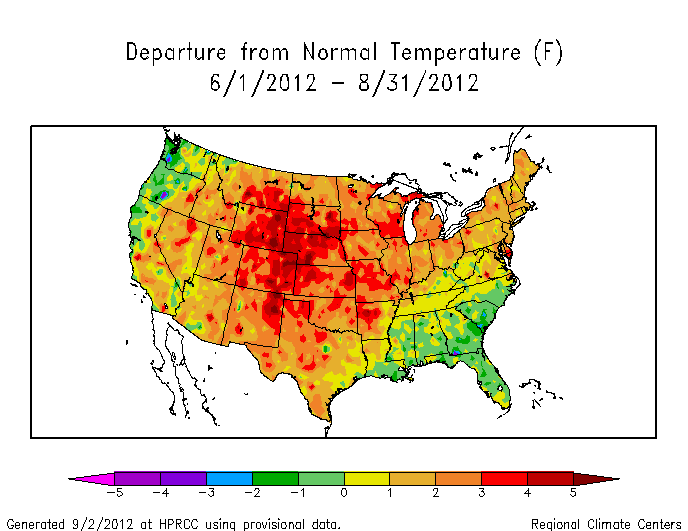 I anticipate both June and August to be warmer than normal, even in the Northeast US, while much of the country bakes. It should be a very humid summer, as coastal SST’s from New England to the Gulf are warmer than normal, supportive of higher dew point airmasses advecting into our region. Additionally, precipitation anomalies should be above to well above normal, further enhancing the moist, humid environment. Night time minima may be more impressive than day time maxima throughout much of the summer. With that being said, the Northeast could see some notable heat bursts from the Southwest as well. Overall, we should be looking at quite a hot/dry summer for a large chunk of the United States, with the Eastern US being wet to very wet. Tropical systems may be prevelant near the Southeast US coast. Actual temp departures, taking an average of the 4 NYC stations — Newark, Central Park, LGA, and JFK.